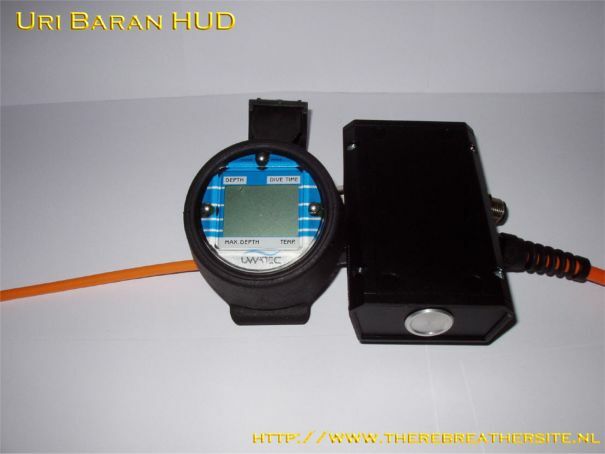 I've just completed a few pre-production units of a Primary pp02 Head Up Display for 3 cell rebreathers. I'm currently trying to see if the market is big enough to justify the approvals process. To be used as reliable primary pp02 indicators avoiding the need to look at main gauges unless a problem is indicated by the HUD. 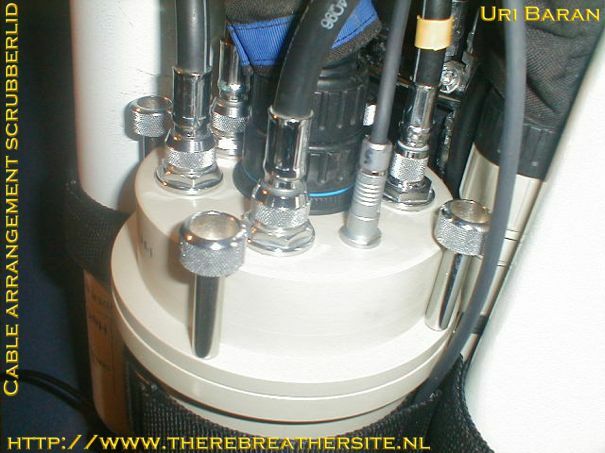 By minimising task loading, it makes Rebreathers safer and easier to operate and hence potentially more attractive to less experienced or more safety concerned divers. 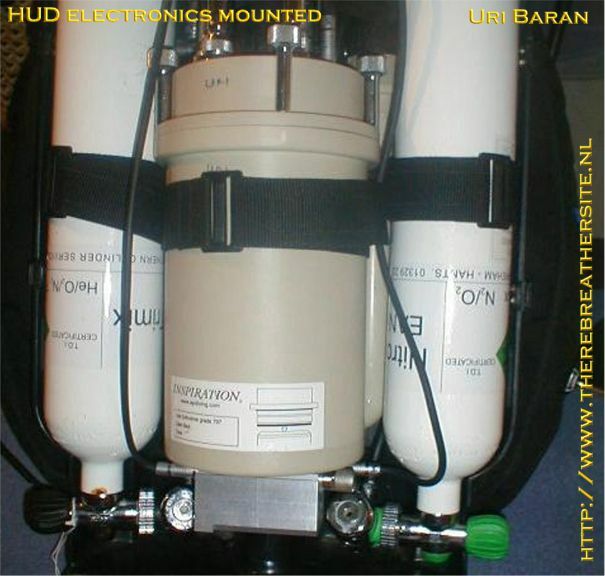 This ultimately helps expand the Rebreather market. 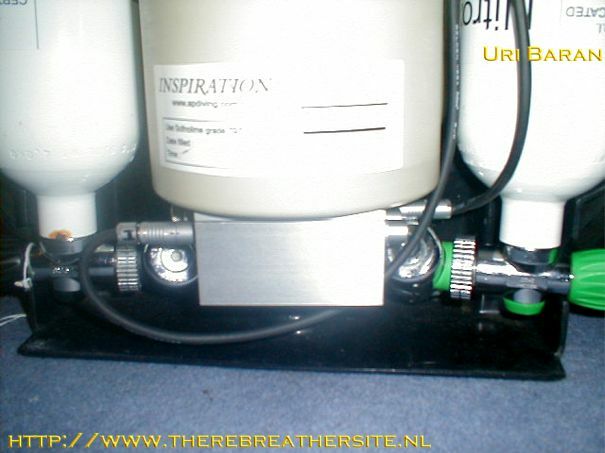 The photo's attached show a pre-production box integrated to an inspiration via a connector added to the scrubber lid. The box is housed below the scrubber. I've also shown my first prototype method to connect the display to the mouthpiece. Clearly I'm improving on that for further units. Production units will be much smaller. I'm looking to produce standardised electronics that can configured for use as single cell advisory HUD's ie for use with the VR3 and 3 cell primary HUD's. 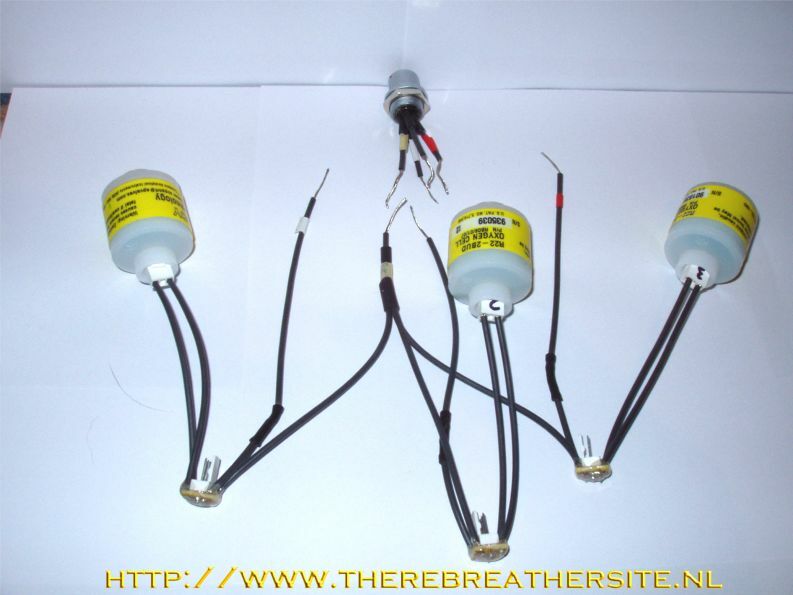 These could be configured to work for most types of oxygen cell and consequently, most CCR's as well as SCR's. I will provide technical details to partners or customers but suffice it to say that the design has a patent application filed and it can be rigorously shown to do what is claimed of it. I'm currently looking for enough interest to get a production batch underway and also potential partnerships. Prices can be discussed with specific enquiries. 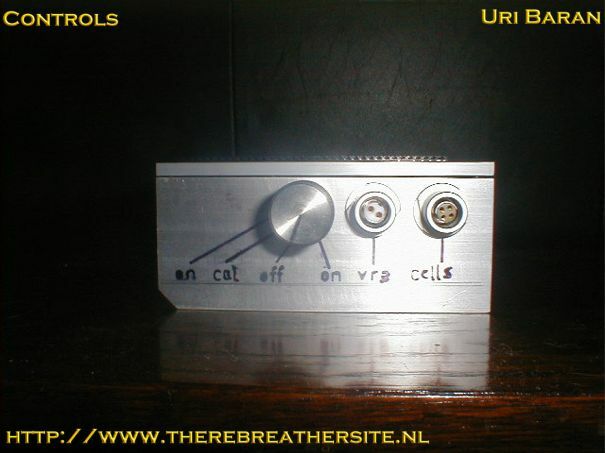 Uri, thanks for your contribution. If there are any new developments please let us know. Rather later than expected, I can do an update as promised. I attach a few pictures showing a production unit. One of which shows a Uwatec D-Timer for scale. The HUD box is about the same width as a cigarette packet and is about 25% taller. 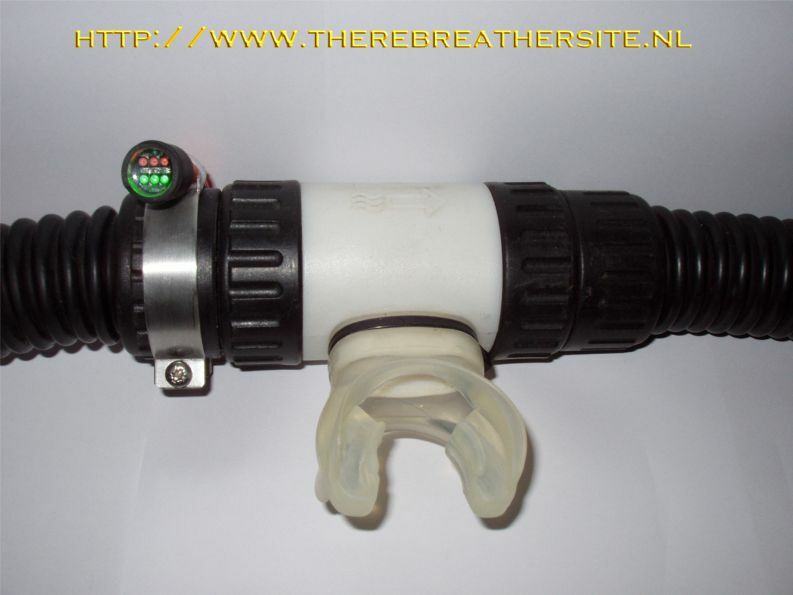 I have set up a company called "underwater experiences" to market this and other products. It will be online at underwaterexperiences.com in about 2 weeks when I will commence trading. I will initially be selling a 100 meter unit for £650 + options + extras. I will soon also be selling a 160 meter rated unit as well. The first production unit has just come back from an expedition where it was tested to beyond 100 meter and performed flawlessly. 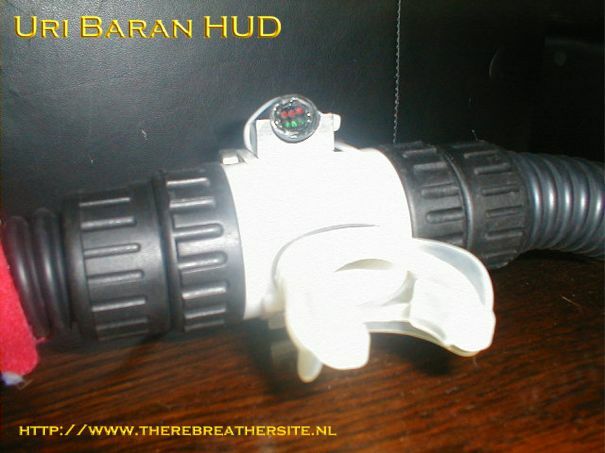 The first is of the HUD mounted on an inspiration mouthpiece. 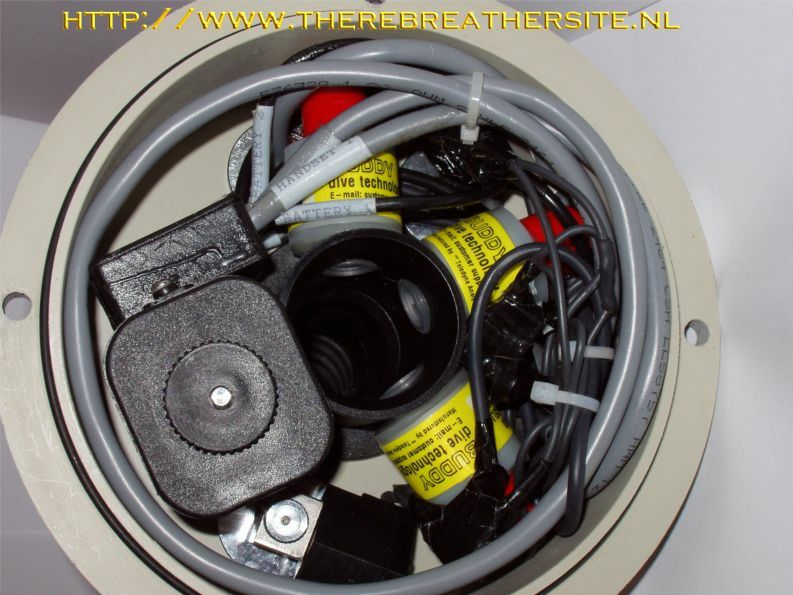 The second shows the wiring used to wire it in (also showing where the cells plug in) and the third shows a close up of the scrubber lid with the wiring in place. 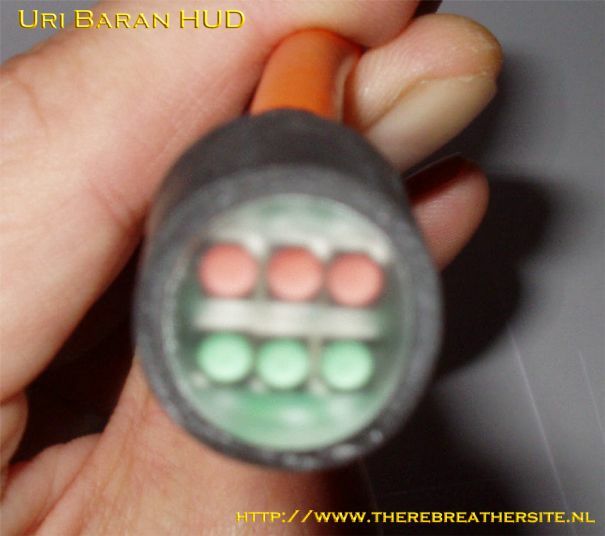 The bare wires are connected with non-crimp connectors which I provide so there's no difficulty with putting it together and it all comes back out again leaving the Rebreather as was (except for a now unconnected connector in the scrubber lid). I hope this provides some idea as to how it all goes together. I have also successfully integrated it with Dave Thomson's KISS a while ago. I believe there are some pictures of that from Dave on the KISS list site. 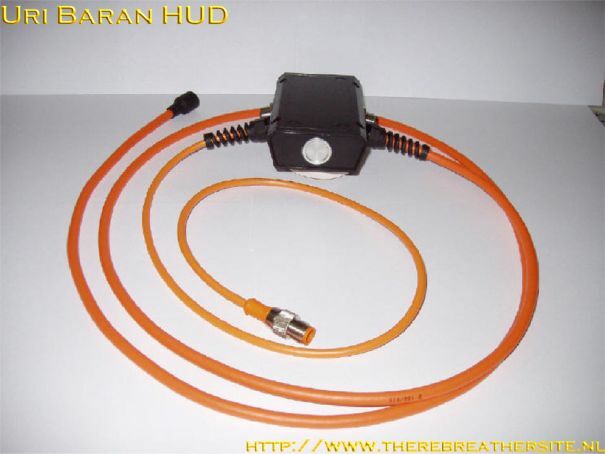 I'm happy to help integrate it to most rebreathers. I'm now providing a Display mount and a good worldwide Battery charger for the unit.